Thymes Warehouse Sale is Coming! It's that time again! 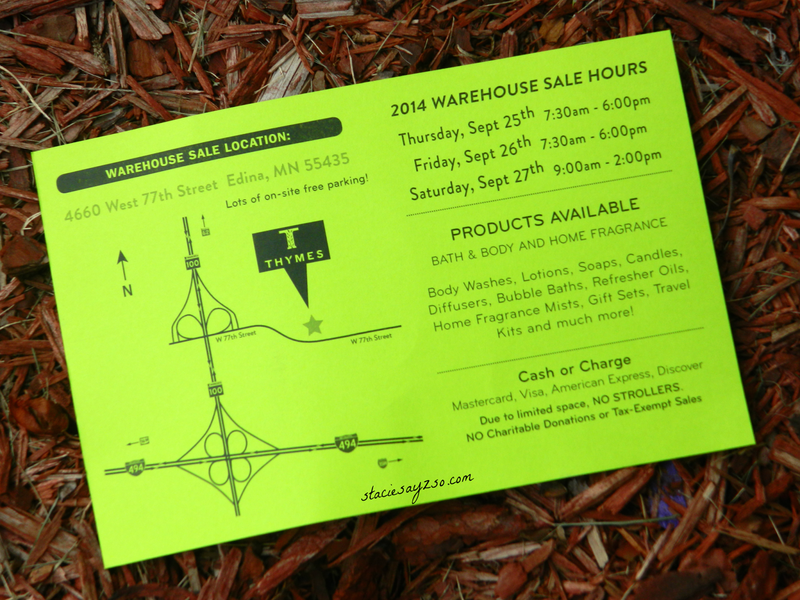 Ladies get your wallets and your money ready cause the Thymes Warehouse sale is back! Remember, cash or credit only and they don't have room for strollers. What's your favorite Thymes product?